Will I ever get tired of going to Lure?! Every time Scott and I are in Downtown Ventura I most always chose Lure. 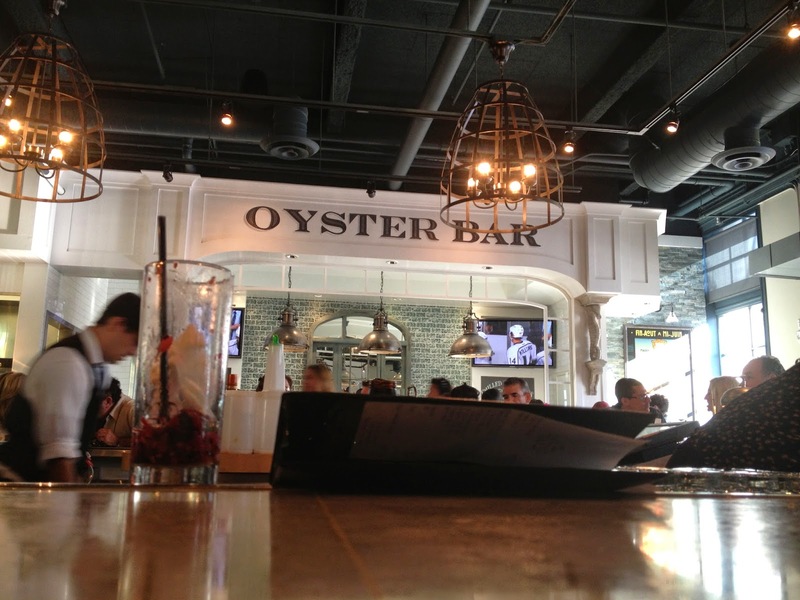 The fresh seafood "Lure's" me in every time... We took a seat at the bar as it was totally packed and we knew we would be served dinner there as well. Scott had just got out of the water so he was craving something light and refreshing to quench his thirst. 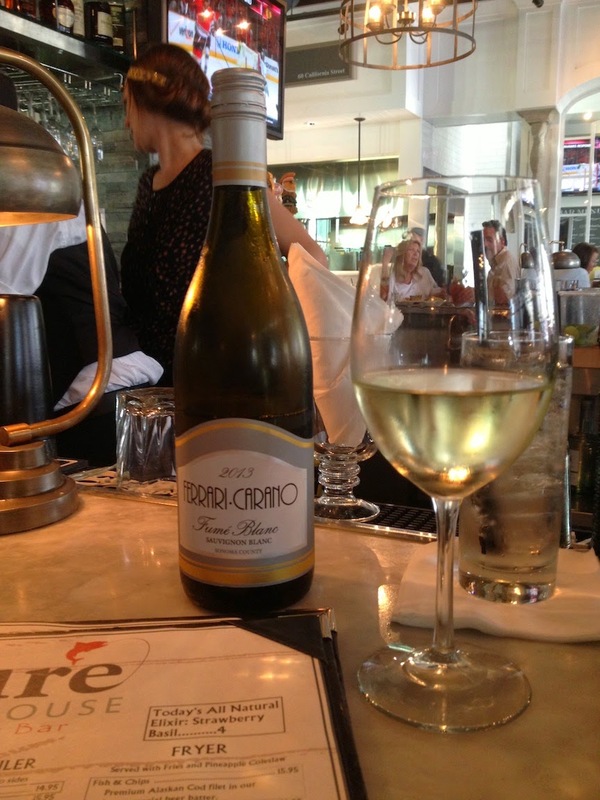 A glass of Fume Blanc was just perfect! 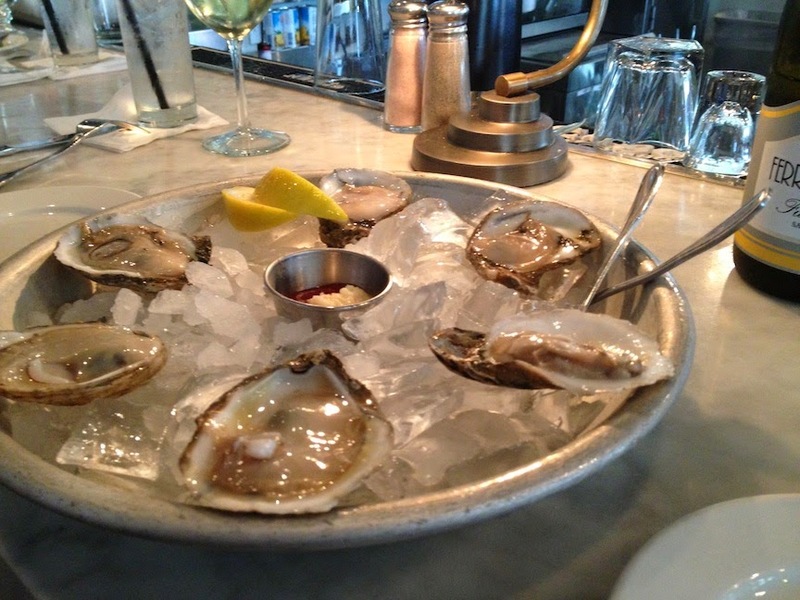 While at Lure we always start our meal with a half dozen raw oysters. 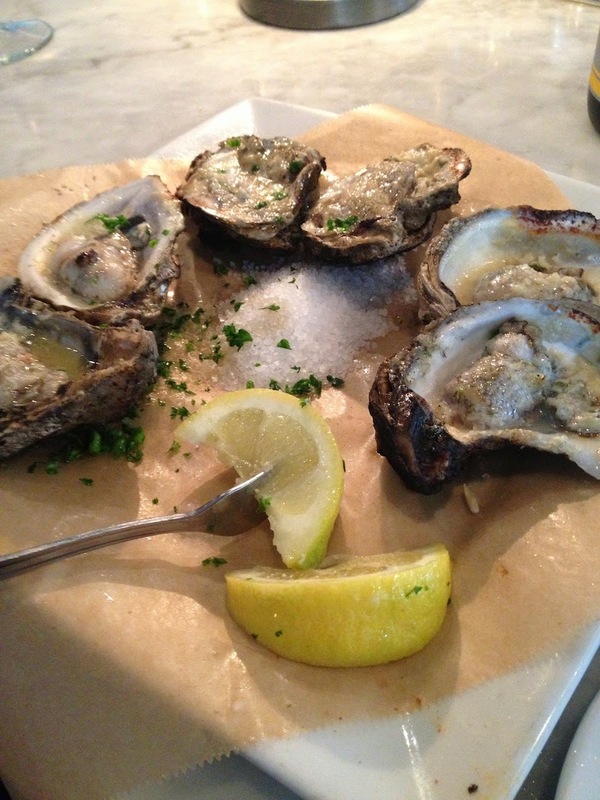 Kusshi's are our favorites but they did not have them in so we decided Blue Point's would be fine. Dressed in cocktail sauce, horseradish and plenty of lemon we were in heaven. 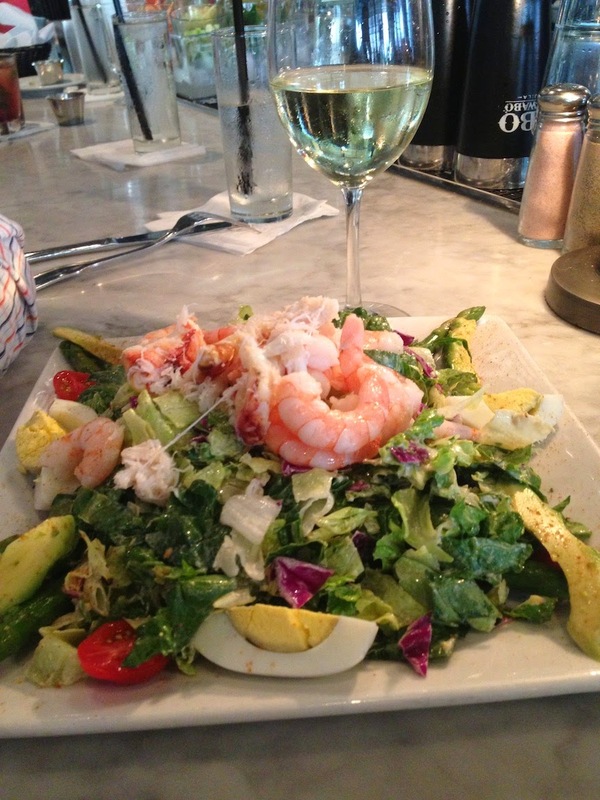 Scott ordered this beautiful Shrimp and Crab Louie. I loved how colorful it was! The one complaint was that it was not dressed enough, a healthy dose of Thousand Island dressing is absolutely necessary for any great Louie. There was a generous portion of shrimp and crab, enough to be included in each bite of salad. If there is Fish and Chips on any menu it might as well be game over for anything else... I was really hungry and felt that this order would fill me up! I was right, I even shared my french fries with Scott and left feeling full and happy. The light, crispy breading on the fish is perfect. 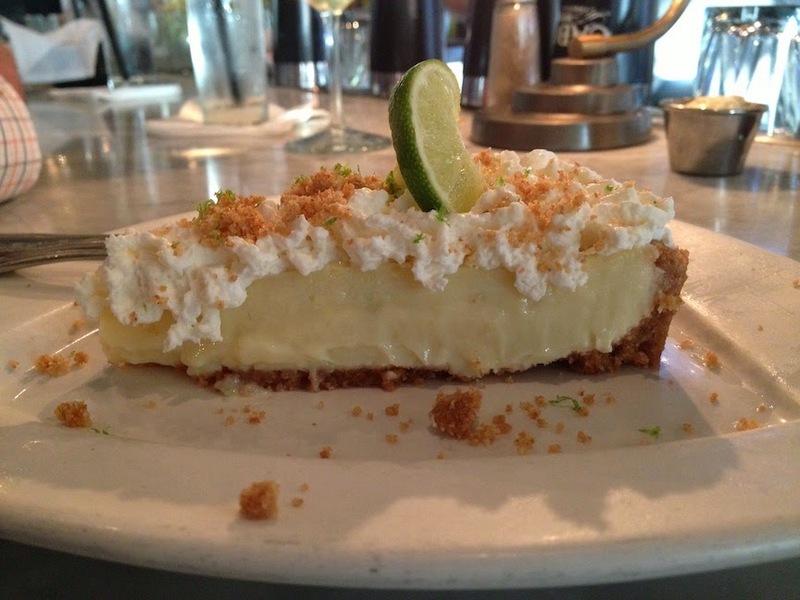 We wanted to end our meal with something light and refreshing so Key Lime Pie was the perfect decision. I enjoyed the tart, tangy flavor with the buttery crust. It really is just the most perfect dessert for making you feel like you are eating a fluffy cloud.